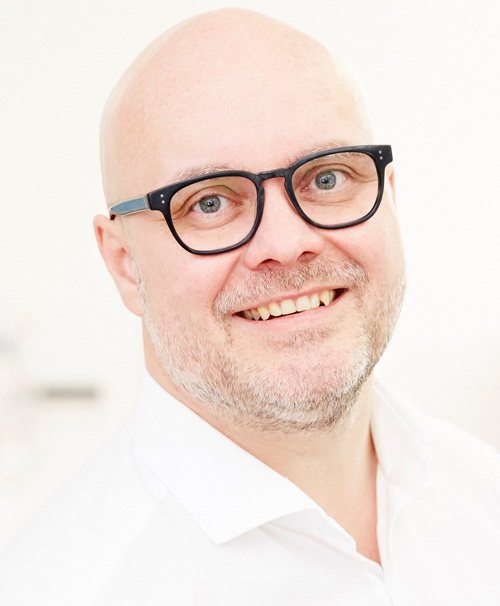 Carsten Fischer has been an independent dental technician running his own company in Frankfurt, Germany since 1996. He has been an internationally renowned speaker since 1994, supporting his activities through publications in many countries (Brazil, Argentina, Japan, Australia and Europe). Carsten Fischer is a member of several professional advisory boards and a long-time consultant for major players within the dental industry. His focus is on CAD/CAM, ceramic double crowns, custom abutments, and all-ceramic materials. Between 2012 and 2014 he has been a part-time employee of Johann Wolfgang Goethe University in Frankfurt. In 2013, his presentation was voted best-in-class by the Association of Dental Technologies (ADT). In particular, the award-winning publications with Dr. Gehrke found currently in the international dental press a high attention and are regarded as a yardstick for contemporary review of individual abutments. Carsten Fischer is a lecturer at Steinbeis University, Berlin, speaker for various organizations (DGI) and vice president of the EADT.